Penguins are birds because they have feathers. Only birds have feathers. This penguin has a crest, which is a ridge of long feathers on the birds head. 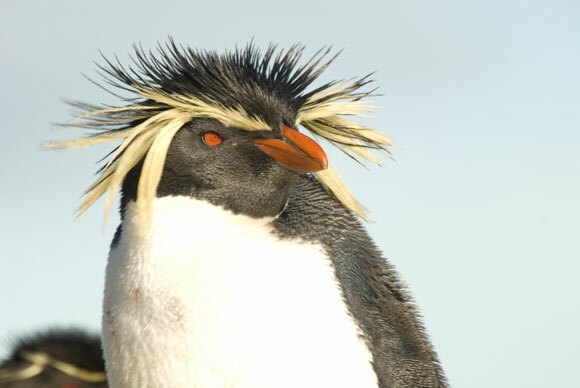 I love crested penguins: erect-crested, fiordland, macaroni, rockhopper, royal, and Snares Island. 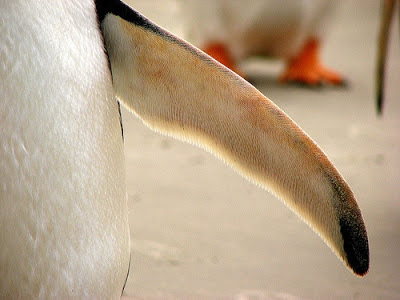 Penguins' wings or flippers do not fold up like most birds' wings. They are used to help the penguin swim powerfully through the ocean. The penguin uses its feet to steer, and its flippers to fly through the water. 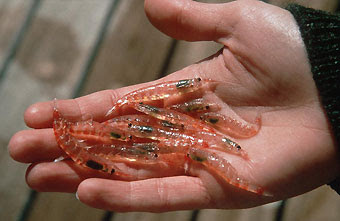 Many penguins feed on krill. All penguins feed from animals in the ocean. 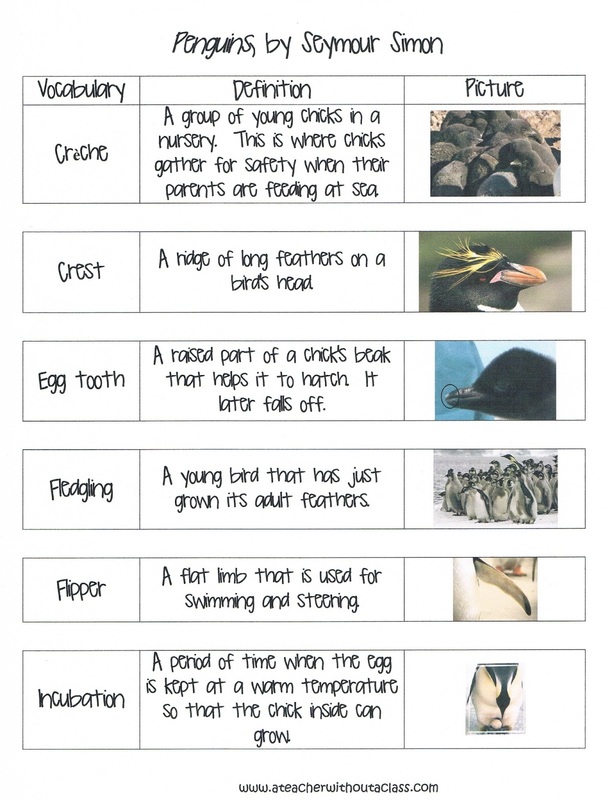 I found it interesting that different species of penguins have different diving depths. 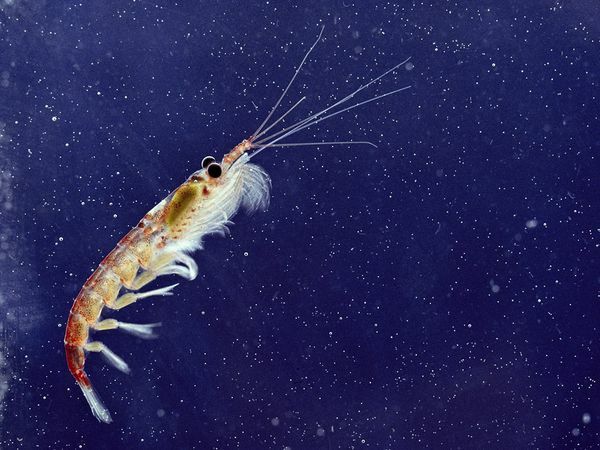 So if different species live and feed in the same area, and eat the same food, they find their food at different depths. 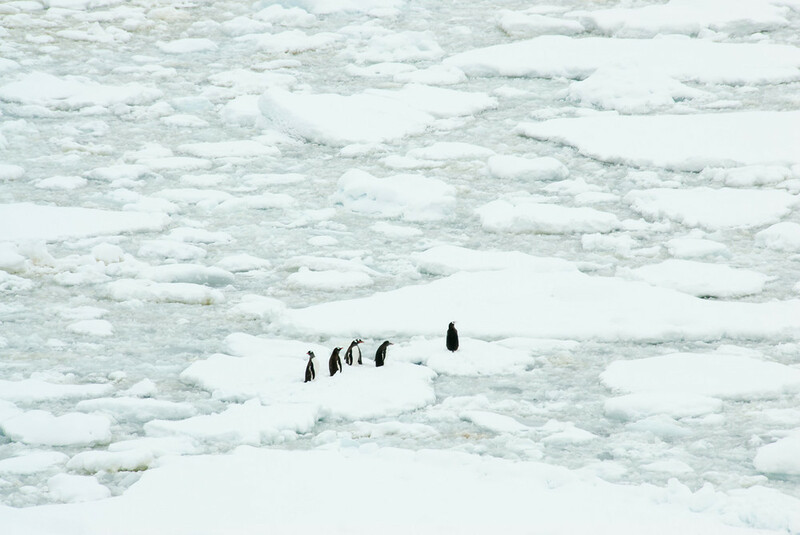 In this way, the penguins can live and dwell together. Many penguins live 75% of their life in the ocean. Here are some penguins on an ice pack, maybe resting after a feeding. All penguins come on land to mate, nest, and care for their young. 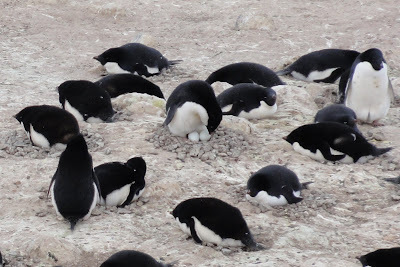 Some make holes in the ground, others like the adelie and gentoo make rock nests, and still other like the emperor and king use their feet for nest. When the birds come together to breed and care for their young, it is called a rookery. First the egg is laid, then it must be kept warm while a chick grows inside. This time span is called incubation. 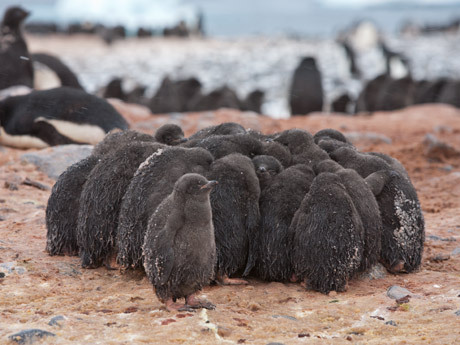 Each penguin species has a different incubation period. 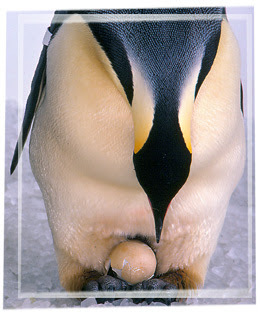 This emperor penguin keeps the egg warm under its brood patch. It carries the egg on its feet, so it won't touch the harsh ground. For three long months, it waits until the chick is ready to hatch. A penguin breaks through its egg with the help of an egg tooth. 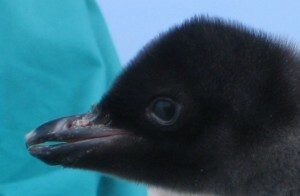 The white tip at the end of this adelie penguin's beak is an egg tooth. It will later fall off. After a penguin is born, the parents take turns feeding the chick. One penguin will go to the ocean to feed while the other stays behind to protect the chick. 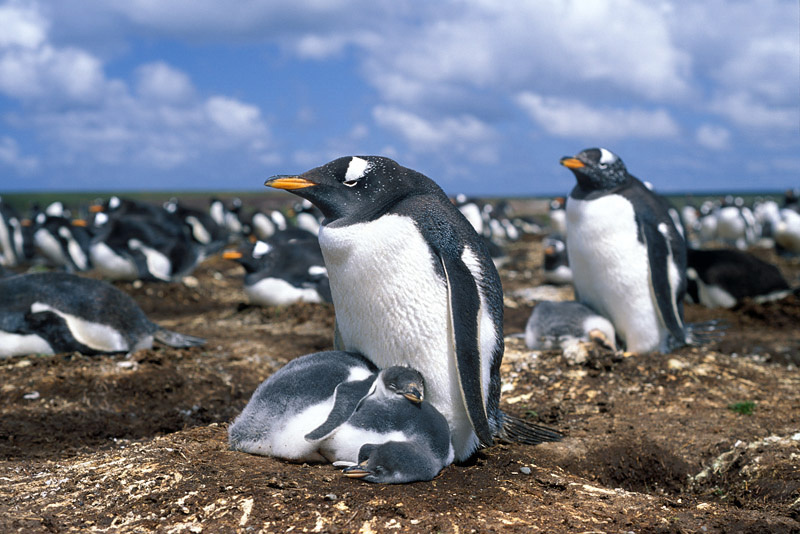 Eventually, it takes both penguins to feed for the young: both mother and father go to the ocean to gather food. The birds then huddle together in a group for warmth and safety. Once a penguin loses its down feathers, it is ready to swim in the ocean. They have the right type of feathers to swim and stay warm. 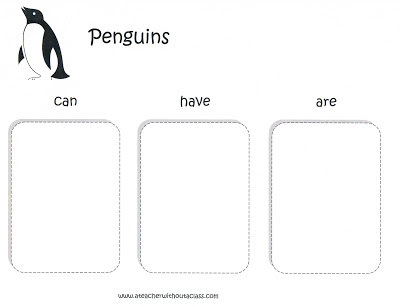 The penguins, however, are not fully grown. At this point, they are no longer chicks, but fledglings. 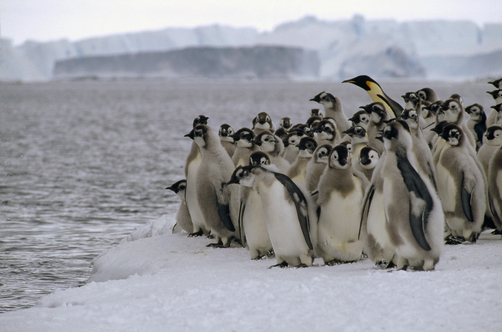 Here a emperor penguin is leading a group of fledglings for a swim in the ocean. 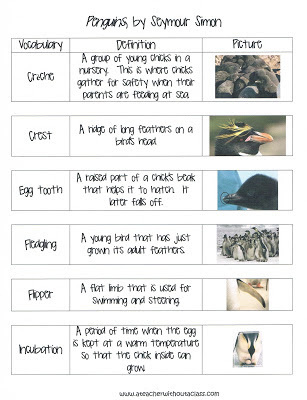 I also made up a definition cheat sheet as a companion to Seymour Simon's book on penguins. 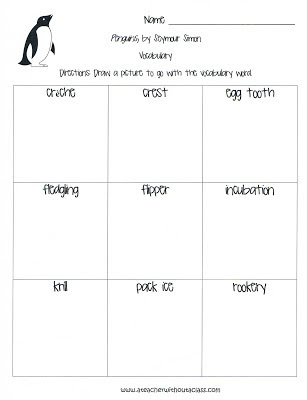 I love the penguin graphic organizer! 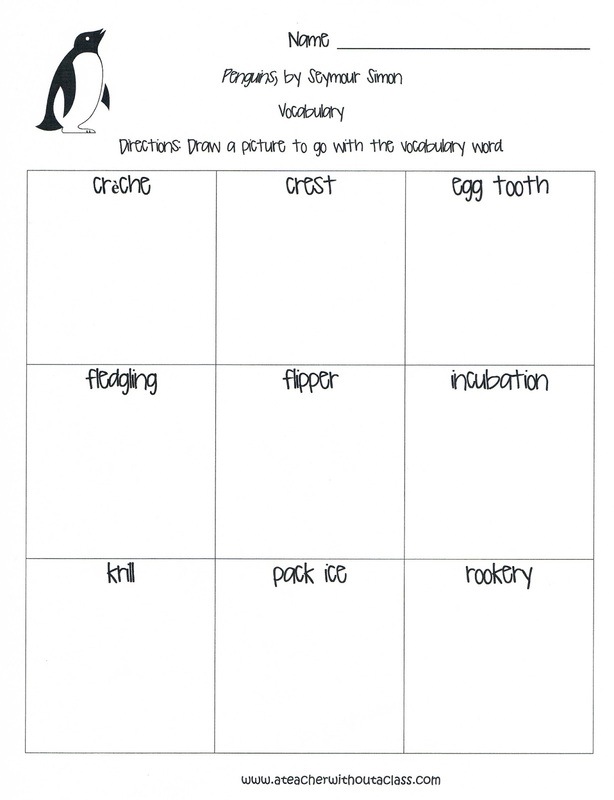 Penguin Vocabulary: draw the vocabulary word. You can find these at my TPT store. Enjoy! 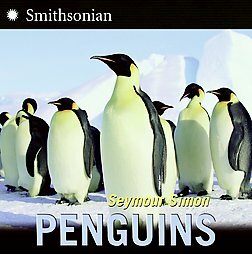 I love penguins! What a great resource! This year, I had my students write about what they would do if they had a penguin for a pet...Then, luckily enough, I was able to find little stuffed penguins to give them for the holidays. They are going to love your blog post. Thanks for sharing; the photos are super! Even though I have a unexplainable fear of Penguins, I loved this post!